Cowboy Bear Ninja creates films, television, and branded content. The company was founded by friends in 2011 with a goal of using filmmaking craft to champion important ideas, and thereby help people see the world in new ways. Originally Cowboy Bear Ninja had a focus on short films for agencies, brands and NGOs. Since 2015 Cowboy Bear Ninja has also developed and produced tv shows for major networks. Television produced at Cowboy Bear Ninja includes LIQUID SCIENCE, a tour through the world of science hosted by Wu-Tang Clan's GZA, now streaming on Netflix, and the game show PAID OFF WITH MICHAEL TORPEY, which premiered to acclaim and widespread press coverage, and has new episodes currently in production. Prominent ads include the Playtex ad for Xtra, a fake product endorsed by D'Arcy Carden which was named by Source Creative as one of 2018's best ads, and a GEICO campaign that was Promax-nominated as Funniest Promo. Cowboy Bear Ninja’s development and production processes stem from the company’s history and values, and are designed to harness the power of collaboration. Team building, communication, and empathy are the critical tools applied to the work created at Cowboy Bear Ninja. 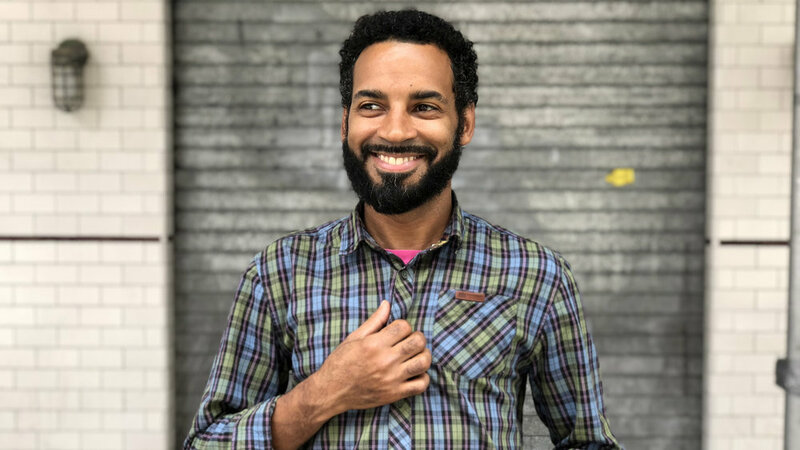 Miguel Drake-McLaughlin is a cinematographer, producer, director, and one of the founders of Cowboy Bear Ninja. He recently produced BLANK MEETS BLANK, a series of comedy shorts for truTV, as well as educational shorts for Greenpeace and Sesame Street Films. Miguel is the co-director of the feature documentary SKY LINE, about scientists trying to build an elevator to outer space (DOCNYC 2015). He has a BFA in Film & Television Production from NYU Tisch School of the Arts. Rufus Lusk is a producer and director whose recent commercial projects include work for Intel, The College Board, Macys, UPS, and The Washington Post. He was the writer and Executive Producer of the Netflix series Liquid Science staring GZA from the WuTang Clan, and a director and EP on SHADE: QUEENS OF NYC for Fusion. Since receiving his bachelor’s degree in studio art from Dartmouth College, Rufus has invented and set rock climbing records, co-directed adventure films, and he also raises a family in Brooklyn. Michael Melamedoff is an executive producer, filmmaker, and the head of development for Cowboy Bear Ninja. Michael has developed projects with A&E, CNN, Fusion, Lionsgate, MTV, and Viceland at Cowboy Bear Ninja. He most recently EPed Fusion's SHADE: QUEENS OF NYC, and TruTV's PAID OFF WITH MICHAEL TORPEY. As a filmmaker, his director credits include THE PROBLEM WITH APU, and WEAKNESS starring Bobby Cannavale. He also produced and co-starred in FLAMES (Tribeca 2017). Adrian Selkowitz is a director and producer at Cowboy Bear Ninja as well as a founding member. Adrian created LIQUID SCIENCE with GZA from Wu Tang and is an executive producer on truTV's PAID OFF WITH MICHAEL TORPEY. Throughout his 20+ years behind the camera, Adrian has shot and directed numerous ad campaigns, short films and branded content videos. Matthew Semel is a comedy director and executive producer, as well as one of the founders of Cowboy Bear Ninja. Matt loves to work on projects designed to affect positive change, such as PAID OFF WITH MICHAEL TORPEY, which he Co-Executive Produces. He thinks the world of the great collaborators and on-screen talent he works with at Cowboy Bear Ninja, where he has directed commercials for PLAYTEX and GEICO, as well as short form comedy in our series BLANK MEETS BLANK. In his free time, Matt can be found enjoying the great outdoors. An avid runner, he has completed three marathons, and looks forward to many more. Esther Bensadon is a producer experienced in feature films, TV series, and commercials. Before joining Cowboy Bear Ninja, she was the Creative Director of the popular Vietnamese gameshow Thách Thức Danh Hà. Highlights of her work at Cowboy Bear Ninja include a commercial for Playtex XTRA starring D'Arcy Carden, and TV shows LIQUID SCIENCE and SHADE: QUEENS OF NYC. She holds a BA in History and Anthropology from Goldsmith College in London. It’s pronounced "Eh-STAIR." Claire Gilbertsen develops projects for television and other platforms at Cowboy Bear Ninja. She comes from the world of talent management where she specialized in comedy. Claire has both taken courses and worked at the Upright Citizens Brigade Theatre. She's a proud graduate of Wellesley College where she majored in Peace and Justice Studies. An avid reader, she currently lives in Brooklyn where she is obsessed an appropriate amount with her dog Louise. Zoë Lotus is an animator, illustrator, and dog lady. Prior to joining the Cowboy Bear Ninja team, she worked with clients including Google, Giphy, and Facebook. Zoë is a graduate of Savannah College of Art & Design where she studied animation. She lives in Brooklyn. Erik Marika-Rich is an editor specializing in TV series, music videos, and short films. His recent credits at Cowboy Bear Ninja include PAID OFF WITH MICHAEL TORPEY, a comedy gameshow for truTV, and SHADE: QUEENS OF NYC, a docuseries for which he edited all the music videos. He graduated from Bard College in 2010 with a BA in Film and Electronic Arts and lives in Brooklyn with his dog AJ. Luke Rettig is a producer with extensive experience managing large-scale video and television projects. After getting his start working on TV series in LA, he was a print journalist embedded with helicopter medevac crews, skydiving instructors, brain surgeons, and police departments. Before joining Cowboy Bear Ninja, Luke was the Production Director at Hershey Entertainment and Director of Communications at the CollegeBound Foundation. He has a degree from Bucknell University in Business Management. Rob is a creator focused on making work which leaves a lasting positive impact on the world. Rob was proud to join Cowboy Bear Ninja on SHADE: QUEENS OF NYC, and to be the Production Coordinator on PAID OFF WITH MICHAEL TORPEY, a show tackling the student debt crisis and changing lives in the process. Prior to working with Cowboy Bear Ninja, Rob worked in sales & marketing with Heelys, Inc, and MGM Studios. He is also a licensed real estate salesperson. Rob is a lifelong fan of horror movies, and in his free time he likes to look after other people’s cats, play pick-up soccer, and stay involved with local politics. Corey Tatarczuk is a producer, director and production designer. 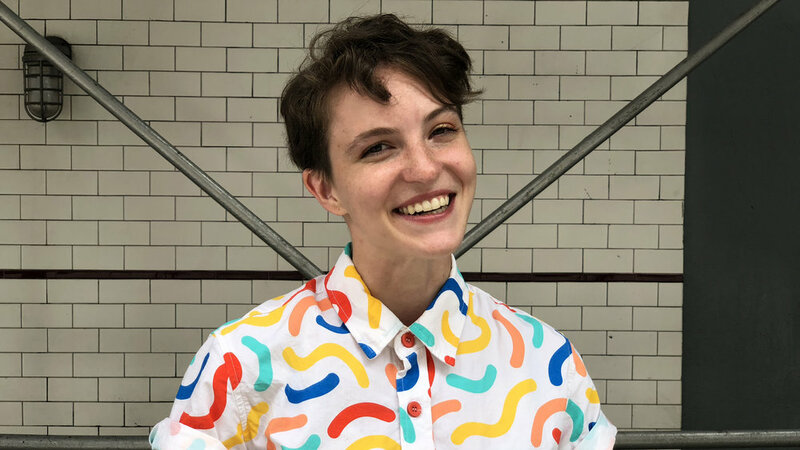 At Cowboy Bear Ninja, Corey has been the production designer/art ninja on practically every project ever, including SHADE: QUEENS OF NYC, BLANK MEETS BLANK, and LIQUID SCIENCE. She was a producer of SHADE: QUEENS OF NYC and directed many of the music videos within the show. She was thrilled to make her SESAME STREET debut as the director of C is for Clothes. She has also directed numerous commercials and promos at Cowboy Bear Ninja. Her art department signatures are practical effects and neon signs. She is a proud graduate of Massachusetts College of Art and Design where she studied metal-smithing and film.